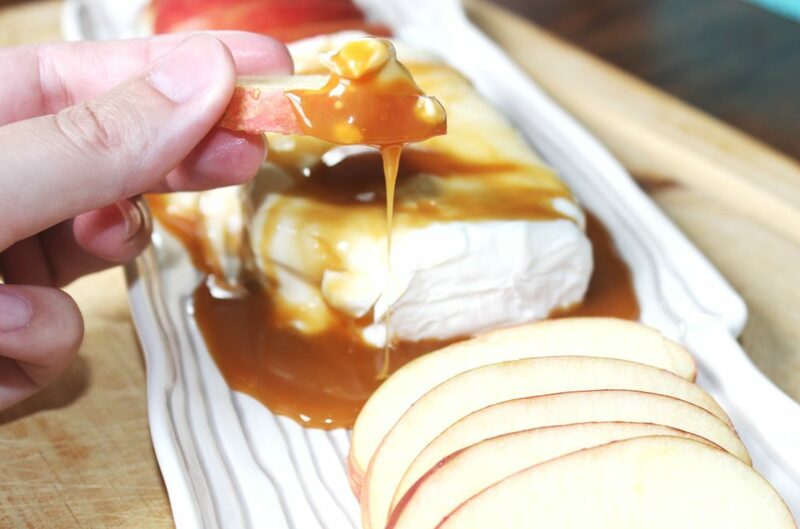 Caramel Apple Cream Cheese Dip – No BAKE! 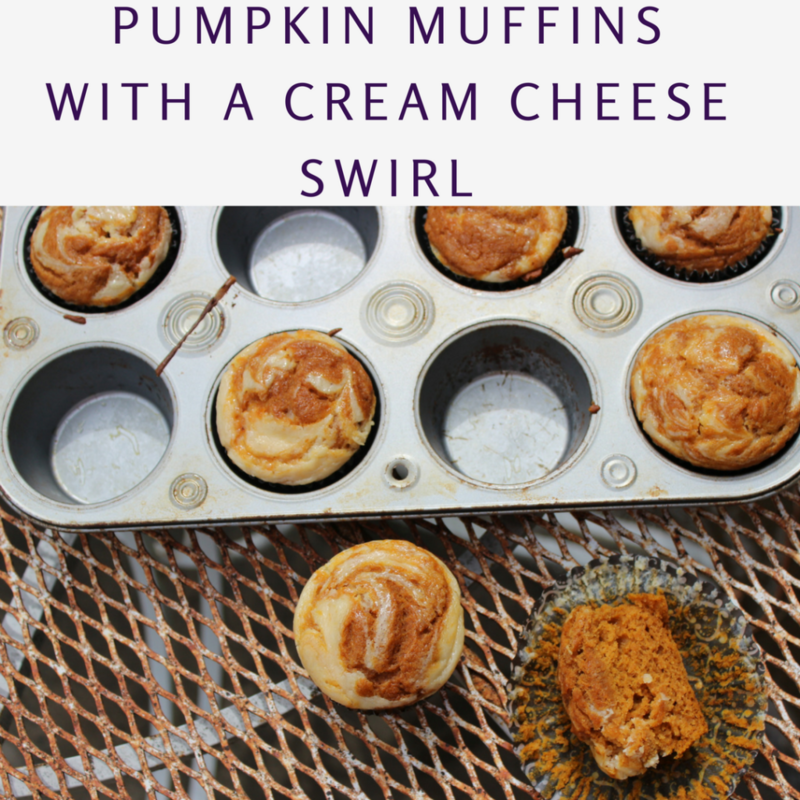 Fall is upon us with this nice cool weather we keep having on and off, it is getting me in the mood for pumpkin cream cheese muffins and Caramel Apple everything! 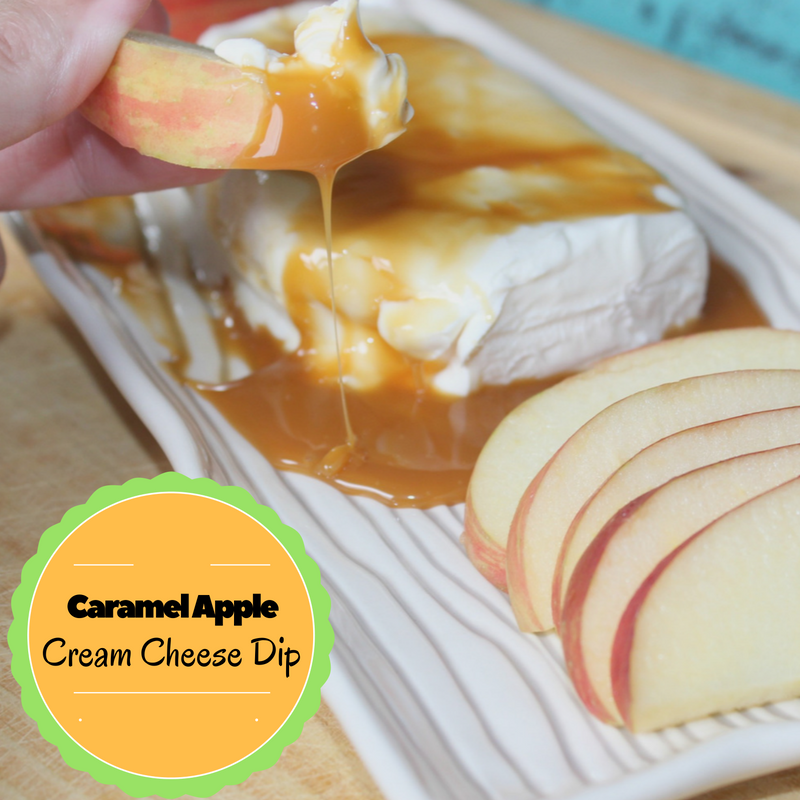 I made this delicious Caramel Apple Cream Cheese Dip the other day, and let me say it is heaven with each dip! I shouldn’t have made it, because I wanted to eat the whole thing it was that good! For this dip I used a salted caramel, and it really paired nicely with the cream cheese. Dip your apple or other fruits you want and just dig in to the creamy goodness! I truly love this dip, and it would be great for any season, I just think it is perfect for Fall gatherings! I am in full fledge prep mode for Clay’s Birthday coming up! We went outside and had a photo shoot for his invitations I will be creating here, and getting in the mail soon! We have a lot of decorations bought, I just can’t wait! It will be a perfect day I am sure! When we came in from pictures, I thought to make this dip as a snack for us. Clay really loved the cream cheese part of it, and much on the apples some! Take your block of cream cheese and let it get to room temperature. 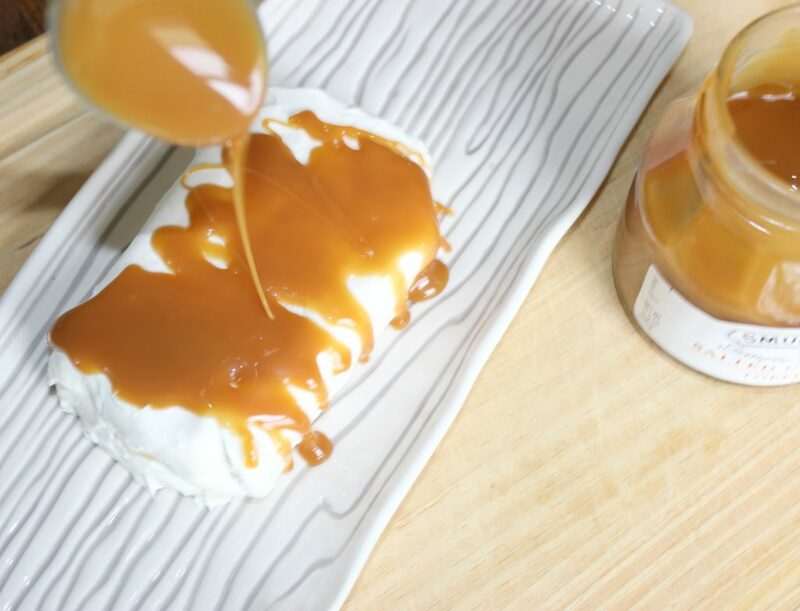 With a spoon drizzle some of the caramel sauce over the cream cheese until you reach as much as you want on the block. Cut up your fruit or cookies and dip or spread to enjoy! Refrigerate after you are done eating on it, if you have any left!! Okay so this recipe, kind of isn’t a full fledge recipe, as it is so easy! BUT I had to share it in case you had never tried this! 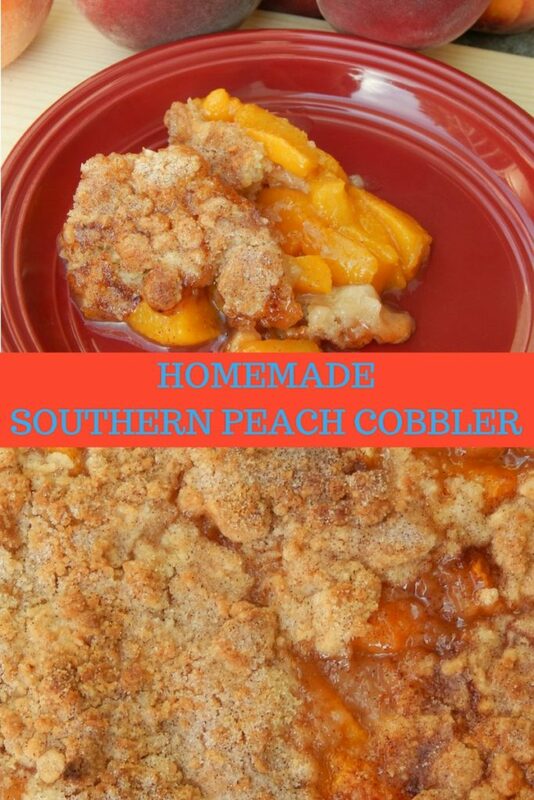 I know it is fabulous and so easy to whip up, that everyone will love it to pieces! Crockpot No Bake Cookies – Simple to Whip Up! 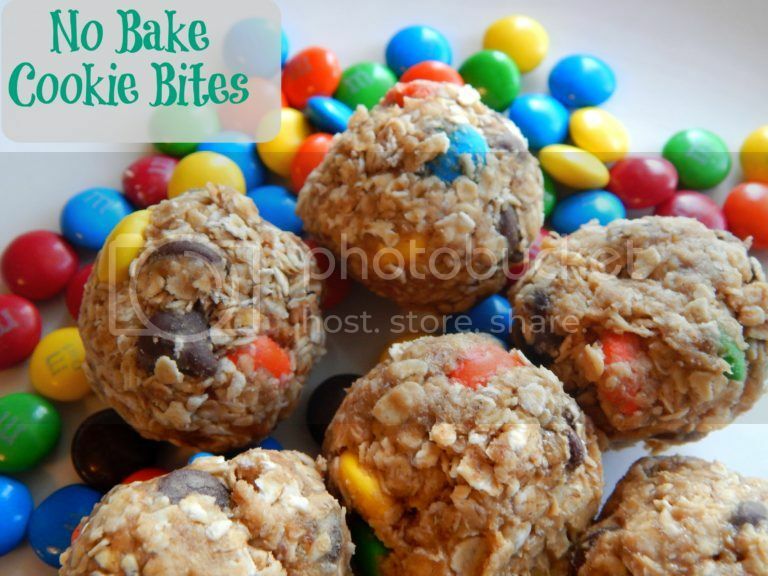 When it comes to cookies I am not picky, I love them all, but my favorite are no bake cookies! I love the chocolate and peanut butter paired with oatmeal, it is the perfect combination! 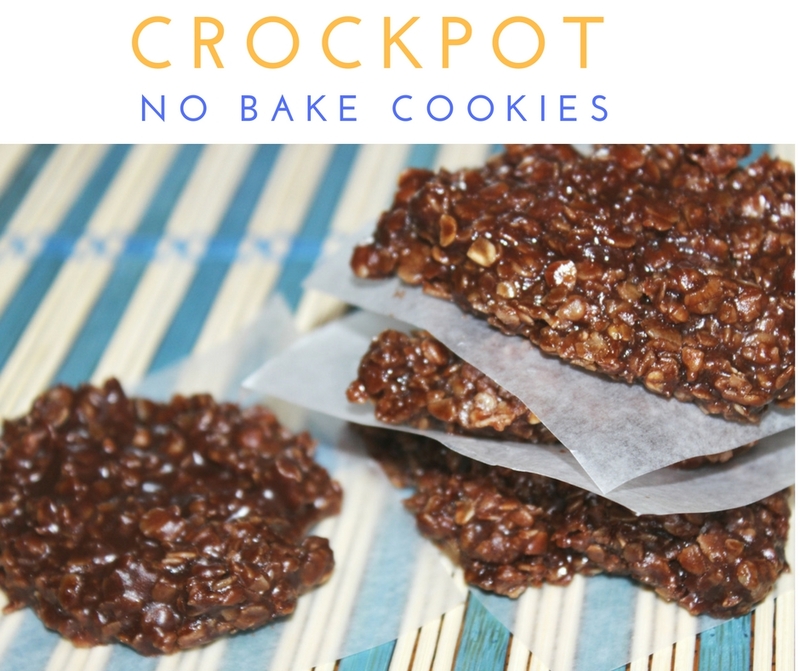 I wanted to share a fun new way to make no bakes, here is a crockpot no bake cookie recipe, I think you guys might enjoy! Don’t own a crockpot? 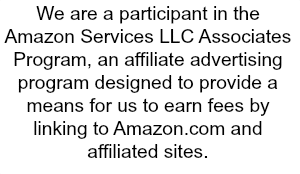 Then head over and buy one here! I really love how easy it is to toss the ingredients into your crockpot and just let it do it’s magic, then stir and drop your cookies onto wax paper and your done! It is simple and painless and let me say the reward is worth it! If you are wondering how this compares to the classic stove top no bake cookies, it is very similar! I found that the flavors were very close to the same. The texture was ever so slightly different, but not enough to really worry about! I think to me this is a winner recipe for ease and taste, and we will be making more of these in the future! 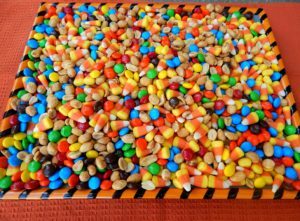 I love to make these up and then freeze them, so if I am craving some sweet I can pull one or two out of the freezer to munch on! With this recipe, you whip up the wet ingredients, toss in the bottom of the crockpot, then sprinkle the oats on top DO NOT STIR THEM IN), and dollop the peanut butter dab in the center and turn to high to cook. Within 1 hour to 1 1/2 hours when it bubbles on the sides, you turn off, add your vanilla and stir then drop the cookies on to wax paper to set up. It is so easy, I mean genius! If you are not good at baking this is kind of fool-proof which is awesome! First off you want to grab a bowl and mix up the milk, softened butter that is room temperature, sugars, and cocoa powder. Once it is done, add in your vanilla extract and stir the mixture well, and spoon onto wax paper and let cookies set up! Easy peasy like I said, and super delicious! 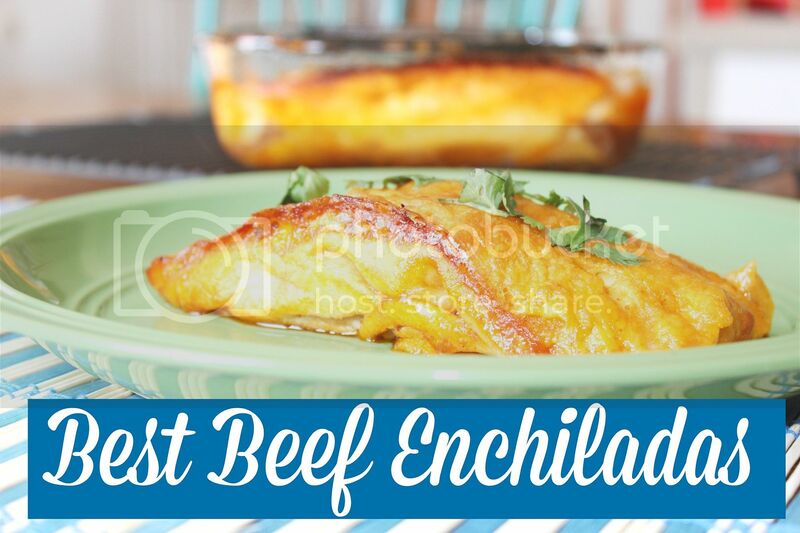 I hope you all enjoy this recipe, and make sure to check out all the other recipes we have up for grabs! 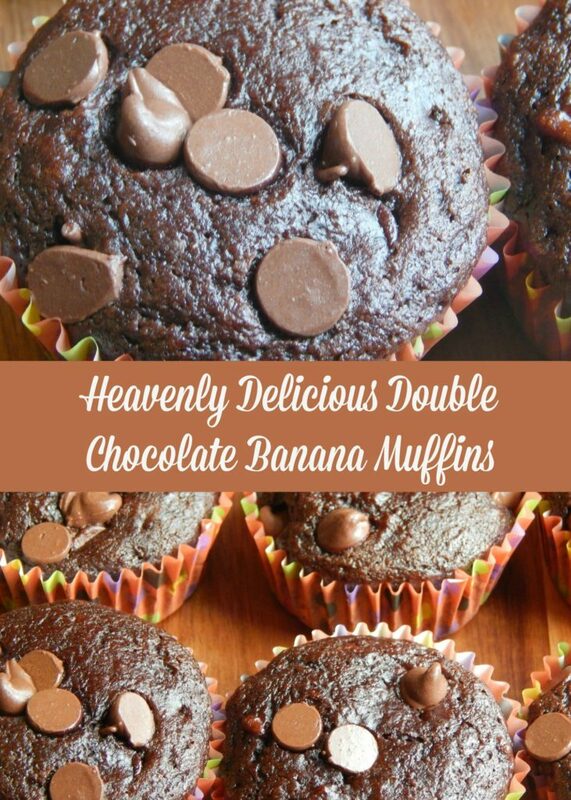 If you are craving something that is chocolaty and will knock your socks off, try these Heavenly Double Chocolate Banana Muffins. It’s a rainy day at my house and I have been searching the cub bards for some chocolate. As I was searching I realized that I had 3 ripe banana’s that needed tended to. So, I whipped up these amazing and Heavenly Double Chocolate Banana Muffins. I need to back up a little and give a little history on my husband and I. Doug and I have been married for 14 years and we have a little running joke. 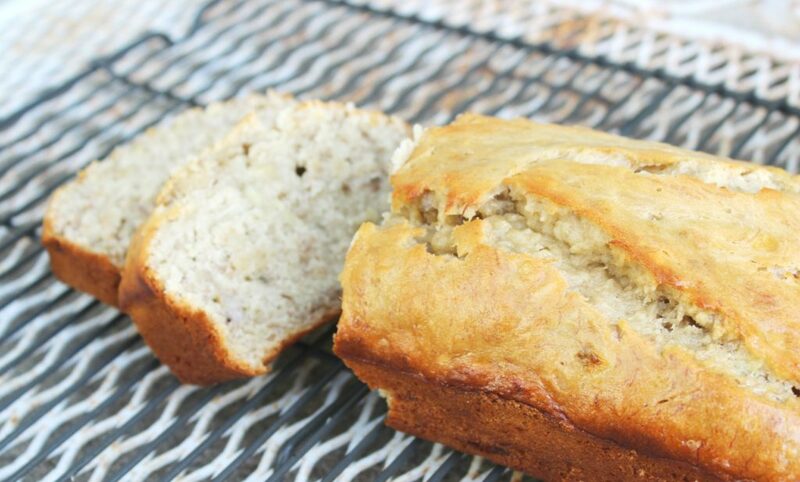 I always buy bananas and tell him not to throw them out because I am going to make banana bread. He always laughs and says, “yeah right.” Then several days pass and I end up throwing them out without making anything banana related. Of course, he always asks me “where is that banana bread you were going to make?? ?” I just laugh at him. I have made banana bread and muffins over the years, but not near as often as I purchase them and let them ripe only to toss them out! Recently, I learned you can toss your ripened bananas into the freezer and this will help me not waste them. Okay back to these delicious double chocolate muffins! 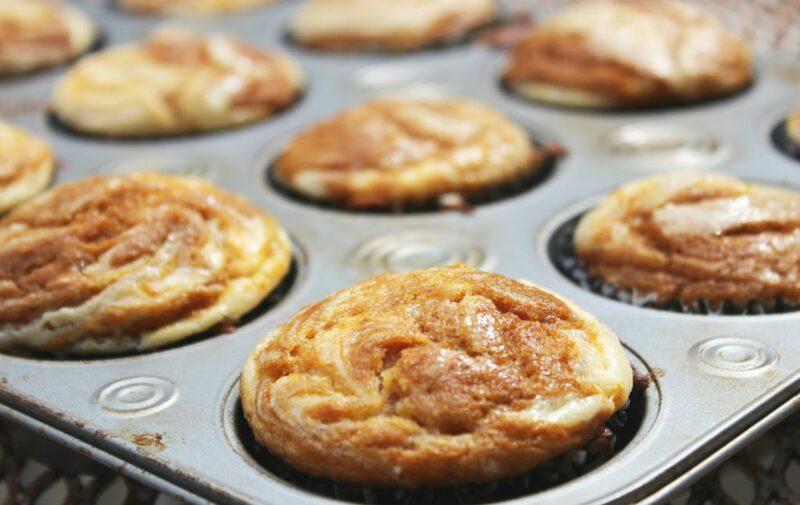 Now these are very rich muffins, so you can usually get by eating just one. I like to change the recipe up here and there. They are very good if you replace the chocolate chips with peanut butter chips. You can also add walnuts or pecans to have that little bit of a crunch. I like to add applesauce to the recipe, because I love how moist it makes them. If you aren’t a fan of the applesauce you can always exchange it for the same amount of oil. 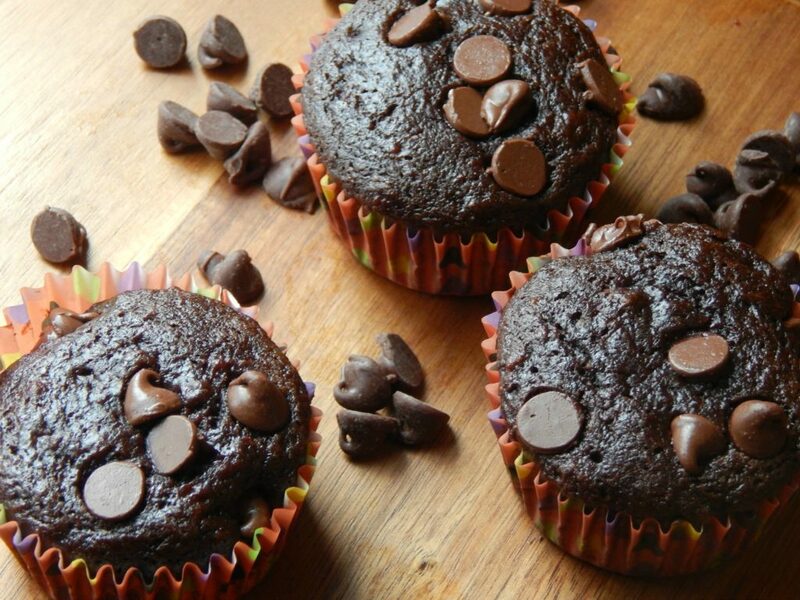 (1/2 cup) Make whatever changes you like and fall in love with these Heavenly Double Chocolate Banana Muffins. Mix bananas, brown sugar, applesauce, vanilla and beaten egg. In a separate bowl, mix flour, cocoa, salt and baking soda. Add 1 cup chocolate chips. 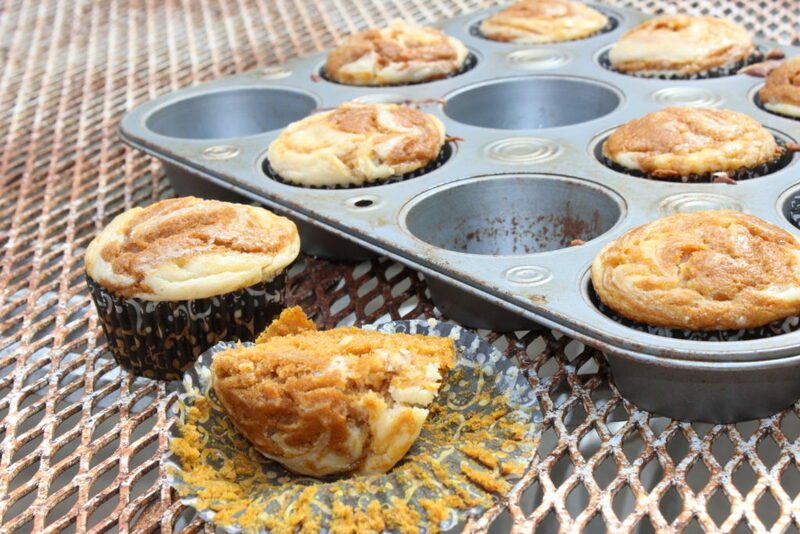 Line muffin tin with cupcake liners and fill 3/4 full. Sprinkle 1/4 cup of chocolate chips on top. Bake for 15 - 17 minutes or until toothpick comes out clean. 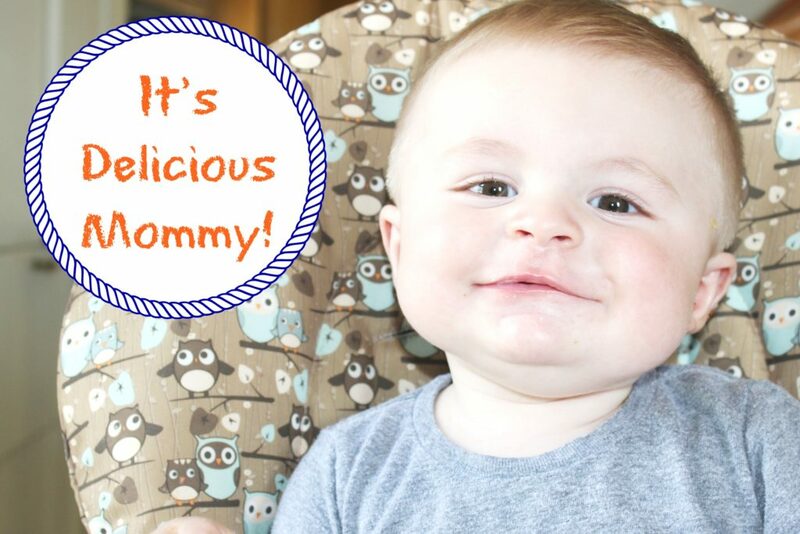 Crockpot Rice Pudding – So Delicious and Baby Approved! I use my crockpot a lot, it makes life easier to toss stuff in, turn to low and leave for the day, then dinner is made for the night. 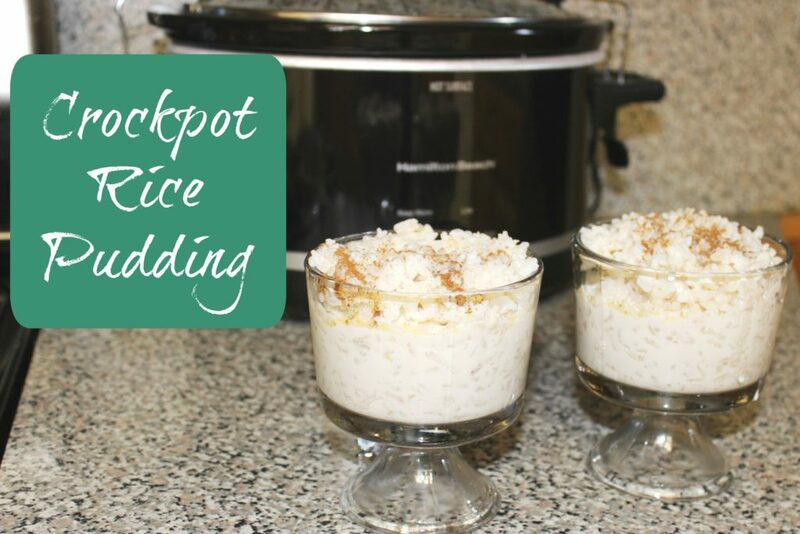 But, I have began to venture out and try new recipes that are desserts like this crockpot rice pudding! It is really delicious and I love the hint of vanilla and cinnamon in it. Really hits your taste buds nicely! Growing up we ate rice and raisins a lot for breakfast, and had rice pudding here and there, it was always a treat. I wanted to make this and see what Clay thought, cause I love having memories of my past to be able to carry on to Clay! The rice pudding turned out amazing and when it was done I spooned into individual containers and served it nice and warm. I love to dust it with a little cinnamon on top, it adds a new dimension of flavor to it, and looks really pretty! This recipe is really good. Now it isn’t very creamy, it is more milky, you want that milk mixture in your bites because it is full of sweetness! I think if it were cooked in the oven, you would get that creamy flavor but crockpot cooking always changes the texture of foods, I have found. Clay found this recipe to be a winner, he actually was wanting more of it. It was a little surprising as he tends to be a little indifferent with new foods, so I take this as a win! I will for sure be making the recipe over and over through the years, it will be an easy recipe to teach Clay to do when he gets older! First off you want to take the butter and rub it around the side and bottom of the crockpot, set the leftover butter to the side. Then pour in all the ingredients except leftover butter and stir gently. Cut up the leftover butter and place on top of the mixture. Turn the crockpot to low, and let cook 3-4 hours. You will know it is ready when the rice is cooked. Serve, with a sprinkle of cinnamon if you would prefer. So quick and easy for prep time, and it doesn’t take that long to cook. It makes your house smell amazing. 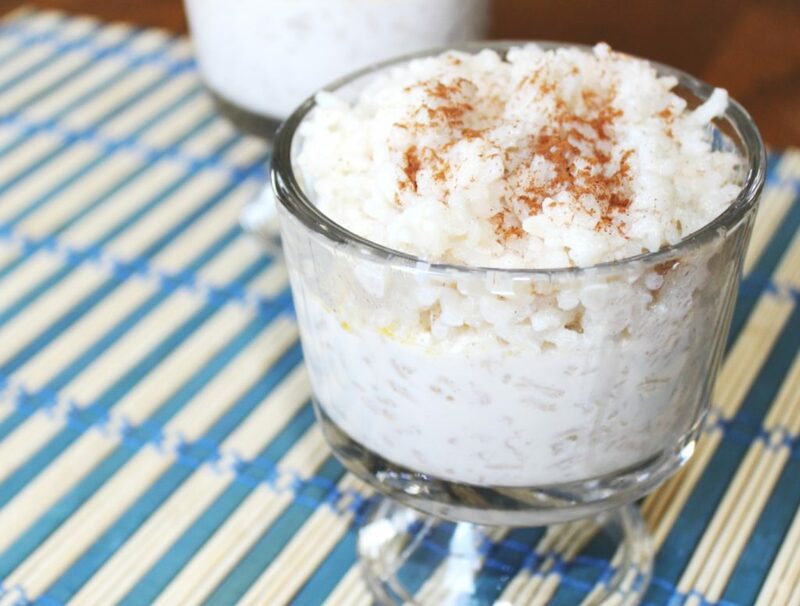 I do recommend this yummy recipe to all those who love rice! 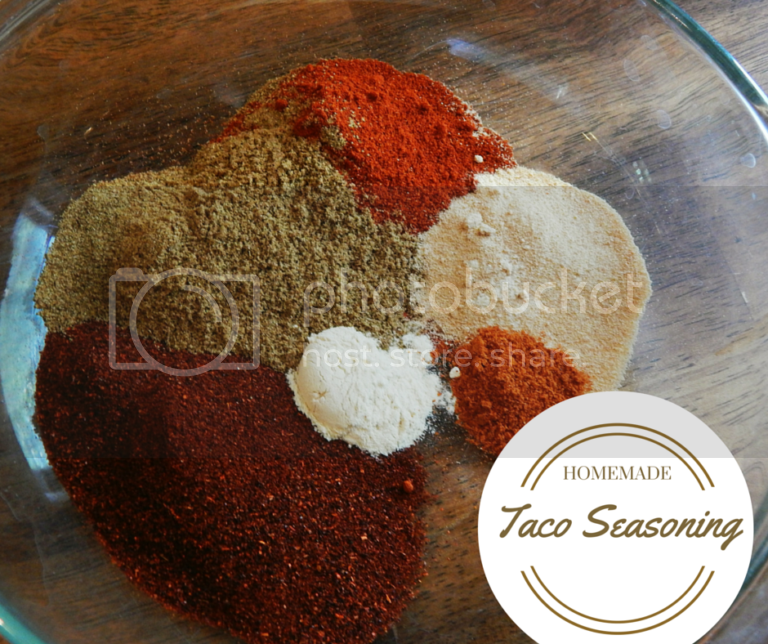 I think you will enjoy the flavors and ease of making it! Cure that sweet tooth craving with these easy No Bake Cookie Bites! I have a huge sweet tooth and chocolate is my absolute favorite. 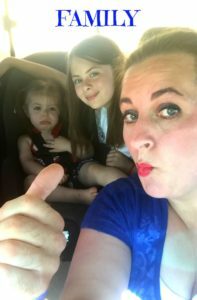 There are many recipes out there, but I experimented to see if I could find a perfect recipe for my household. These No Bake Cookie Bites are the easiest treats to make! 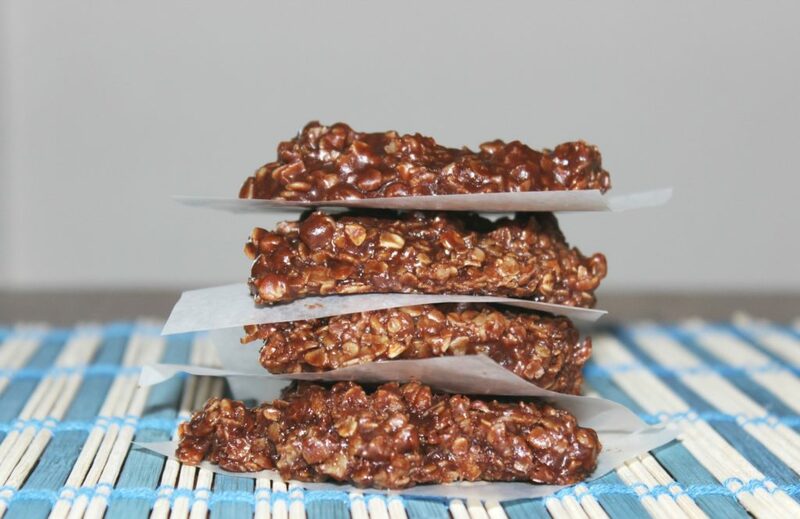 They are perfect for an everyday snack, a birthday party or an energy boost while hiking! The are packed with lots of fiber and just enough sweet goodness to keep your taste buds happy and begging for more. As you can see, even Haydyn loves them! She seems to have an intuition when I start gathering the ingredients to make this recipe. She runs to the kitchen and is begging for some before I am even done. 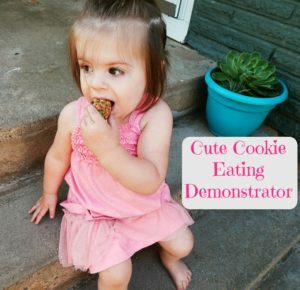 I can’t blame her, because I like to eat a little before I actually refrigerate them too! It’s pretty safe to say that the apple doesn’t fall far from the tree there. Mix all ingredients in a medium sized bowl with a wooden spoon. After mixed well, refrigerate for 1 hour. Roll into balls and enjoy! I like to keep mine refrigerated all the time and eat them cold. These are are very filling and satisfying. You can sneak extra nutrients in and your family won’t even know or have time to object. 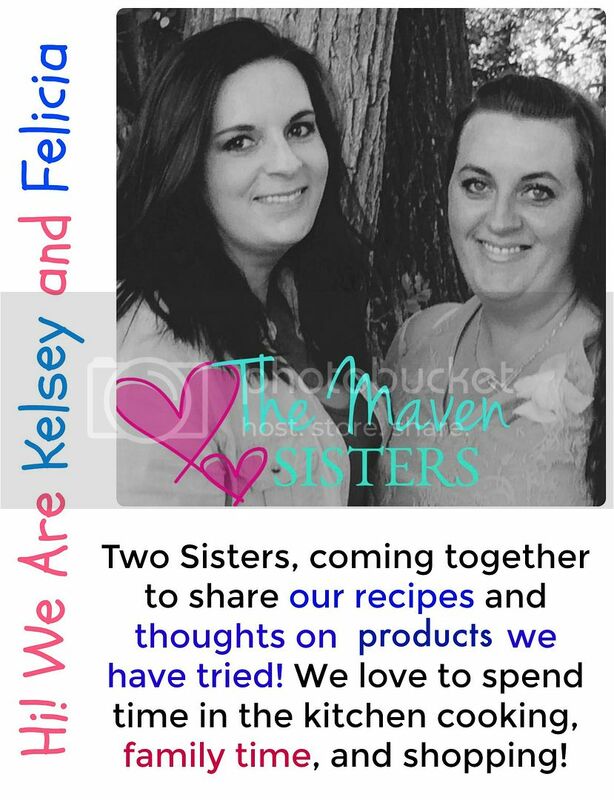 Now it’s up to you to figure out what your favorite recipe is! If you are looking for a refreshing and tasty dessert, you should make a Classic Strawberry Poke Cake! 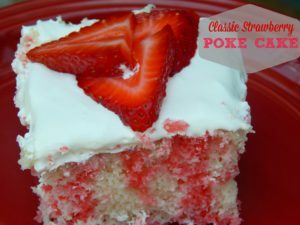 I remember being a kid and going to Grandma’s and having this Classic Strawberry Poke Cake! I always wanted it, but never knew how and then several years ago my husband asked me to make it. I started asking around and found out this is literally the easiest cake ever to make! If you don’t make this cake, you are missing out! I decided to make the Strawberry Poke Cake this year for the 4th of July. As you can see in the photo above, I attempted to take a photo of my amazing family. I had a fantasy of providing you with an awesome 4th of July family portrait with all of us in our 4th gear, but this is the best I could get! With Haydyn having a meltdown and my husband not wanting to be in the photo it’s a good thing we had some yummy cake to keep us happy for dinner! Okay, back to that delicious cake! The best part about this cake is that you refrigerate it, so it is so nice and cold with each amazing bite. Another great thing about the cake is that you can personalize it to meet your tastes. I use strawberry jello and add strawberries, but you could easily replace it with orange, cherry or anything else you like! There are also many things you can do to spruce of the frosting if you want. I prefer good old fashion whip cream, but you may want to add some cream cheese to it or some fresh strawberries sent through the food processor. No matter what you choose, I’m sure you won’t be disappointed! Follow the directions on the box of cake mix and prepare as recommended. When cake is almost done baking, boil your cup of water and dissolve the strawberry jello in the water. When the cake is done, poke holes with a fork all over while it's still hot. Then pour your jello all over the top of the cake and allow to cool. Once cooled, put your cook whip all over the top. 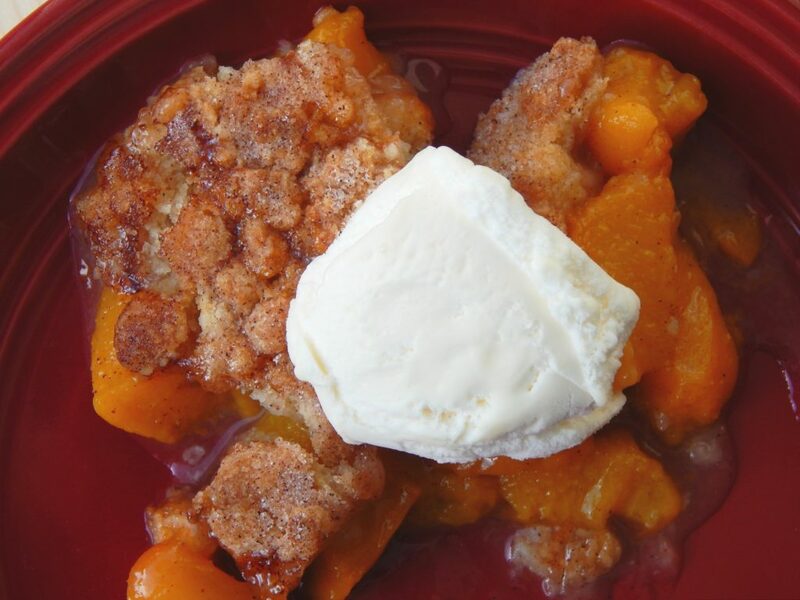 Add fresh fruit to the top if desired and place in the fridge. I like to refrigerate for at least 3 hours before eating. Enjoy! 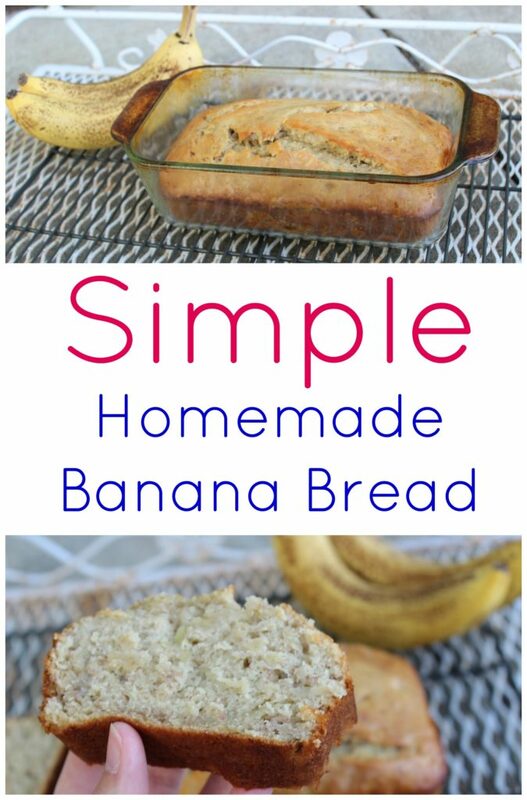 I am a huge banana lover, so I am always up for making a delicious and simple homemade banana bread when I get a chance! 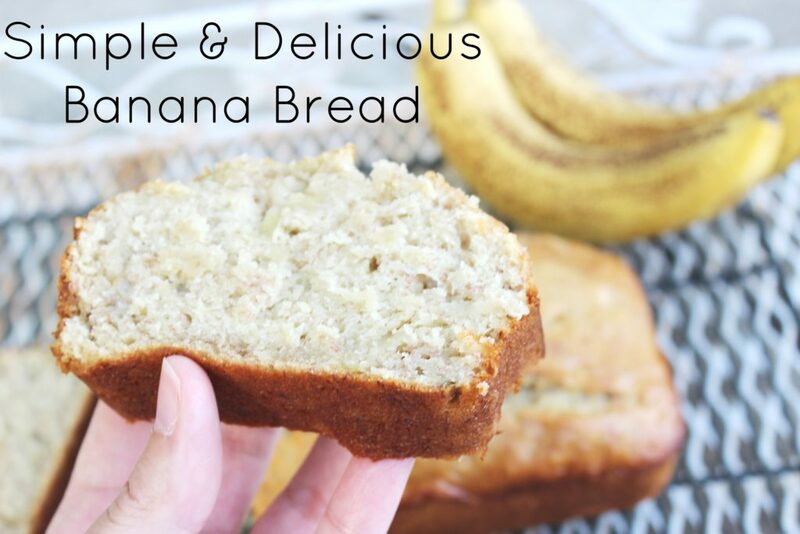 Adam, is not a fan of bananas, but it seems that Clay likes them, so we can enjoy all the banana bread together now! I had some bananas getting brown, so I thought what a perfect time to whip up some banana bread. I am excited for later today at snack time, for Clay to try it and see if he likes it. He is really starting to experiment with foods now, so it will be his first time eating it. So far he really loves his breads, just like his mommy! I craved bread a ton when I was pregnant with him! This is a really easy bread recipe, and you can also add in chocolate chips, nuts, or other dried fruits if you would like. I just did a basic recipe today, and maybe introduce chocolate to Clay at a later date! This does make a little bit of a smaller loaf, so it is great if you are not wanting a ton. It doesn’t rise incredibly high like some recipes do. Preheat oven to 350 degrees. I used my KitchenAid Stand Mixer, peeled the bananas, and let the machine mash up my bananas on low. If you don't have a mixer, then take a fork and mash them really good. Then you will want to add in the melted butter, sugar, and beaten egg. In a small bowl, put your flour, baking soda, and salt. Mix that well, and then slowly add dry ingredients into the mixer with wet. Lastly add in your vanilla extract. 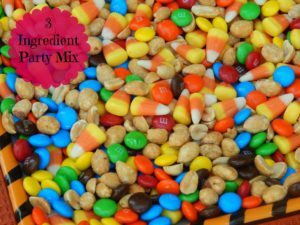 Once it is well mixed, you can mix in nuts or chips if you want. Then pour into a greased loaf pan and bake for around 45-1 hour. You want the top to be golden brown, and when you stick a toothpick through it comes out clean, or with little crumbs. I really love how this is a nice moist bread. You just have to make sure not to over-bake it or that will make it dry. I hope if you make it you all enjoy it like we are! Hope you all have a great rest of your week, and weekend!